Did you ever dream about coming to Planet Earth to participate in the greatest spiritual adventure in the history of all of humanity? YOU DID! YOU CAN! YOU ARE! At this time in our collective evolution it is vital to increase our vibrational frequency and integrate the functions of the 'lost' strands of DNA to become more masterful. Light Body Activations prepare us for traveling inter dimensionally and preparing for ascension during this lifetime. why do people have ascension activations? 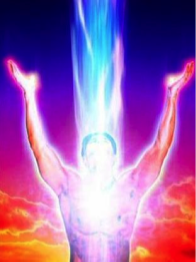 There are a great many reasons people wish to experience ascension activation. Here are some of the most frequently cited. To shift the dense material body to a body of light in preparation for Ascension beyond 2012. I feel strongly that these days require all the clarity, centeredness and expansion, the grounding and awareness that we can hold - around our field and within our core of light. We are truly living in unprecedented and extraordinary times. We each need to invest in our own spiritual consciousness as the one true reliable source of stability and inspiration. Some of us have waited all our lives for this opportunity to serve humanity. Please consider joining me to bring this ascension process forth, so more of us can awaken in time to save ourselves and our beloved planet. what are these activations? where do they come from? These processes are tools for your personal ascension. Each session in a series of 6 is performed by placing a set of specially programmed crystals around your body in a triangle and other configurations. These rituals were given to humanity by Beings of Light in other realms to quicken our energy field, freeing us of density and blockages so we become accustomed to living with more spiritual light in our physical and subtle bodies. All 13 chakras are cleansed and balanced and increased in speed so your vibrational frequency is substantially raised. Establishing counter-rotating cylinders of light within and around your body enable you to travel in a body of light between dimensional realities. With practice this can be done consciously as needed. Eventually, after a series that culminates with a 6th and 7th dimensional activation, the master cells of DNA are raised in frequency so that all 12 strands are active according to the original intent of our Divine Blueprint. what will i experience during an activation? After several years performing these activating, I notice that the recipients have made rapid progress in their spiritual paths and have moved on to greater levels of teaching, healing and life experiences, with more grace and spiritual maturity.